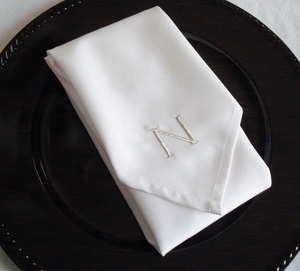 MONOGRAMMED NAPKINS ARE A TRADITIONAL AND CLASSIC WAY TO ADD A CUSTOM TOUCH TO YOUR SPECIAL DAY. A PERFECT AND UNIQUE WAY TO DISPLAY YOUR MONOGRAM OR A GREAT GIFT IDEA TO BE USED FOR YEARS TO COME! 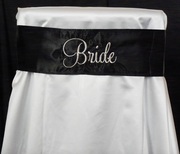 CREATE A SPECIAL SEAT AT YOUR RECEPTION TABLE WITH THESE EMBROIDERED CHAIR SASHES. 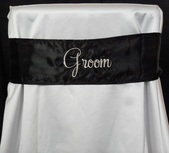 A GREAT WAY TO ADD CUSTOMIZATION TO YOUR HEAD TABLE OR REHEARSAL DINNER. **Please include any customization preferences, theme, colors etc. 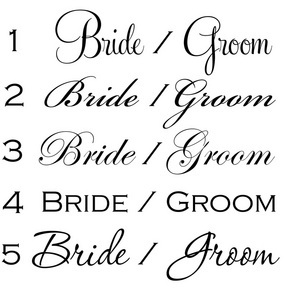 in notes or fill out order form to accompany your order. Please note added customization may results in an additional fee. 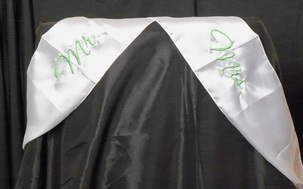 We will email you several design options to choose from upon receipt of your order. 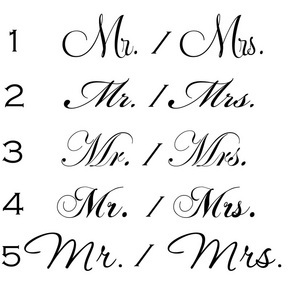 Already have a monogram or image? Upload within the order form. **Please include any customization preferences, theme, colors etc. in notes or fill out order form to accompany your order. Please note added customization may results in an additional fee.